Alright friends! We’re halfway through the week! yesterday was a week for us. You know the kind: toddler not behaving, twins teething. Yikes! We started the twins on solids as well and surprisingly it’s going pretty well! Also, it left me with zero down time. I didn’t work out all week, I struggled to fit in showers… so yeah. Maybe someday I’ll have more time for this space, but for now I want to focus on the task of raising my girls. 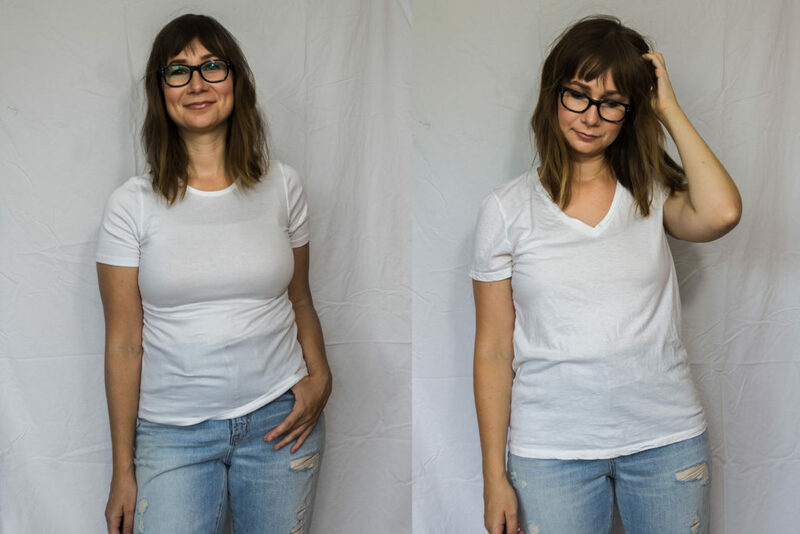 I already did a styling video using the Pocket V on Monday and I’ll be doing an in depth review of the Micro Rib Tee on Friday. Today, I thought I would just do a little comparison for you of the two so if you were waffling between the two hopefully this will help you. I’ll list out some categories and then put an “x” next to where each shirt “wins”. I prefer the micro rib… but only by a little bit! Honestly, it just suits my style more and I love the softness of the material. If I had to choose just one, I would choose the micro rib. With that said, I do think that the Pocket V is a bit more universal in that it is a more basic style. 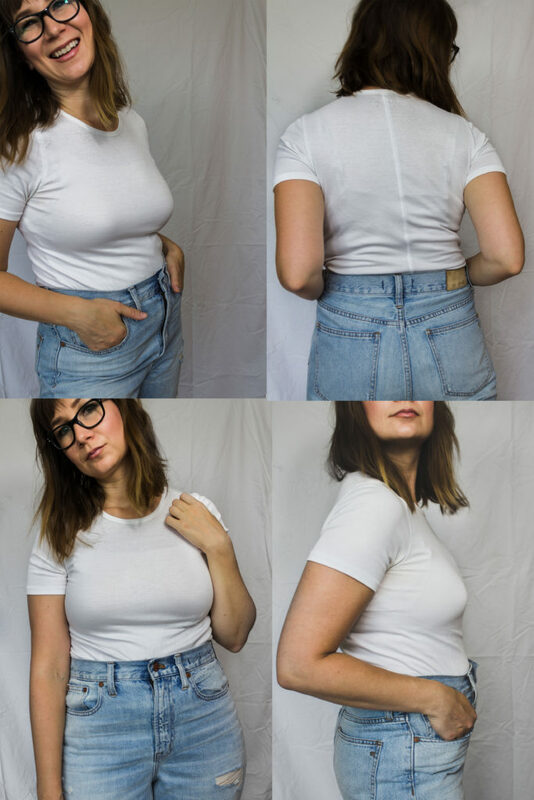 Both are great quality and great additions if you’re looking for a white t-shirt. What do you think? 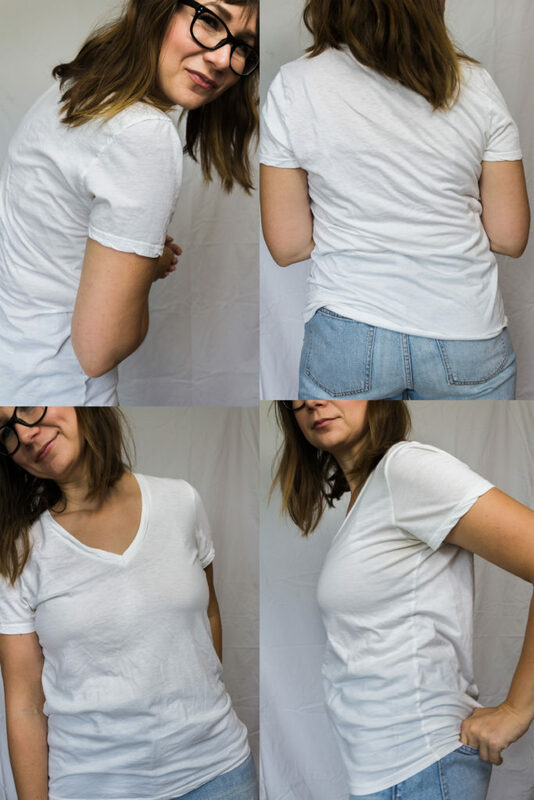 Do you own any other Everlane t-shirts? Do you have a favorite style? Or where do you go when’s you’re looking for great basics? Let me know in the comments below! 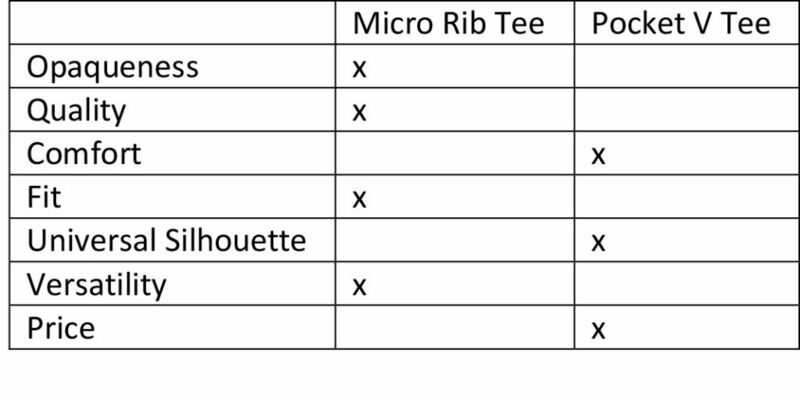 A more detailed review of the Micro Rib. I have a Ryan Tank that I love as well! The fabric is just so silky and soft!